MENOMONEE FALLS, Wis. — Kohl's fiscal second-quarter profit beat analysts' estimates, as the department store operator trimmed expenses and managed its inventory well. Its shares soared more than 13 percent in morning trading Thursday. Department store operators have been dealing with more competition from online retailers as consumers increasingly enjoy the ease and speed at which they can shop from electronic devices. 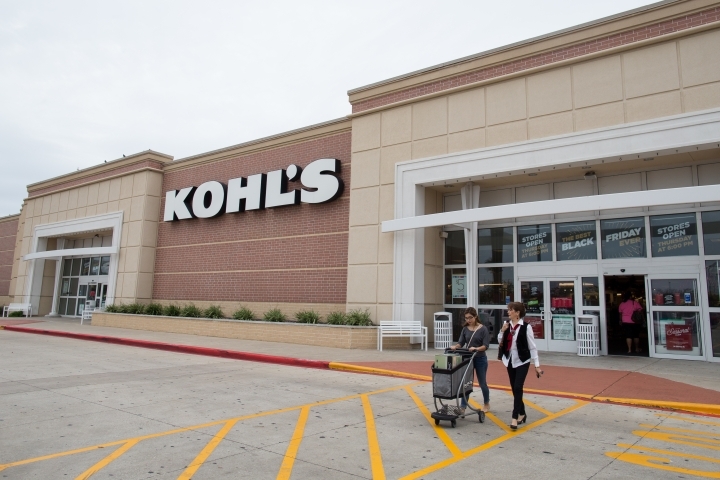 For the three months ended July 30, Kohl's earned $140 million, or 77 cents per share. A year earlier the Menomonee Falls, Wisconsin-based company earned $130 million, or 66 cents per share. Earnings, adjusted for asset impairment costs, were $1.22 per share. That's above the $1.04 per share that analysts surveyed by Zacks Investment Research expected. Selling, general and administrative costs dropped to $986 million from $1.01 billion. Chairman, CEO and President Kevin Mansell said in a written statement that Kohl's inventory management efforts helped the retailer achieve a strong increase in gross margin, with ending inventory per store down significantly from last year. Revenue declined to $4.18 billion from $4.27 billion. Still, it was better than the $4.16 billion that analysts polled by Zacks predicted. Sales at stores open at least a year, a key indicator of a retailer's health, fell 1.8 percent. This figure excludes results from stores recently opened or closed. Kohl's Corp. also cut its full-year earnings forecast. The chain now foresees full-year earnings in a range of $3.80 to $4 per share. Its previous outlook was for $4.05 to $4.25 per share. Analysts surveyed by FactSet are looking for earnings of $3.84 per share. Fellow department store operator Macy's Inc. is also reporting its quarterly financial results on Thursday, while J.C. Penney Co. is expected to report its results on Friday. Kohl's shares rose $5.21, or 13.6 percent, to $43.25 in morning trading Thursday. Its shares are down almost 30 percent since a year ago.